Which Vanilla variety you should choose ? How to use your Vanilla beans ? How do Vanilla plants grow ? When are Vanilla beans harvested ? How to keep your Vanilla beans fresh ? Everything you need to know about Vanilla> Which Vanilla variety you should choose ? Home > Everything you need to know about Vanilla> Which Vanilla variety you should choose ? My collaborators and I are very proud of this planifolia variety that's just as good as the big names in this industry. It's full of surprises and we can't wait for the upcoming harvest. 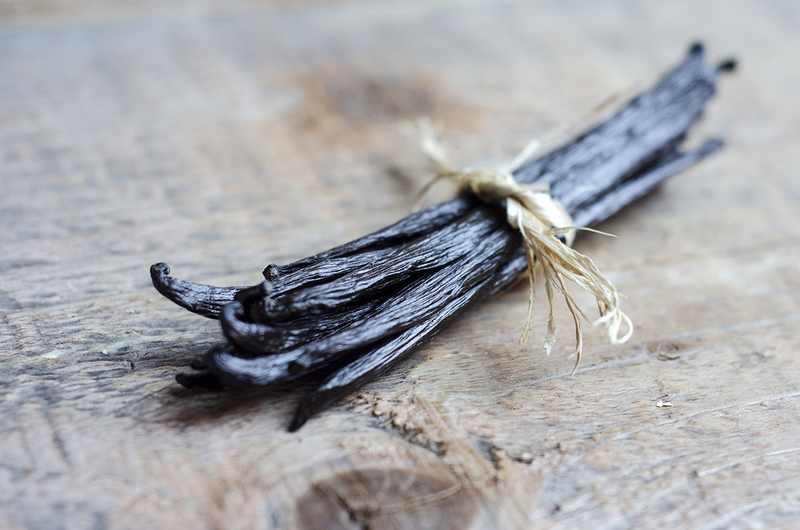 Our goal is to offer an unusual vanilla variety to gastronomical chefs. How to use it : This high end gourmet vanilla has highly dominant raw head notes and cocoa-like base notes. I simply adore it and have no doubt it'll soon become a grand cru! This variety is becoming more and more popular in the industry thanks to its great price-quality ratio. It is now used by many professionals who adopted this variety after trying it. It's the same variety as in Tahiti, only wider. When I discovered this variety, I fell in love with it but also with the people who grow it. Their stories, their sensitivity and their love for vanilla was a true reminder of why this is my job. Maintain an ethical relationship between customers and producers / Papuan New-Guinea communities. Keep a close eye on the maturing and ripening processes. Stay close to the Vanilla rates while offering the beans at a fair price. How to use it : However you like! Its wide aromatic palette makes it perfect for every type of meal, from marinated white meat and fishes to sugar coated layered cakes. Its floral and spicy undertone will seduce you anyway. Papuan Vanilla - Tahitensis Extraction : spicy and tabacco-like undertones. Papuan Vanilla - Tahitensis Gourmet : my absolute favourite with its floral. 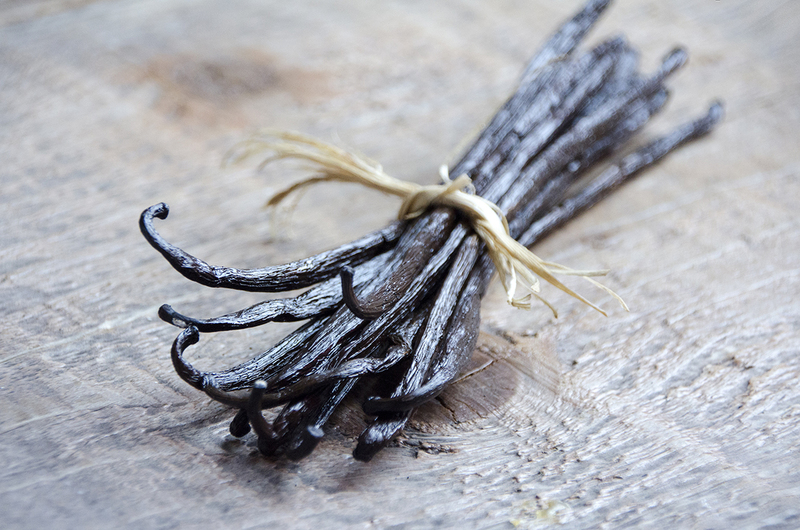 Indian Ocean produced Vanilla is called Bourbon. You can find it in different countries such as : Madagascar, Reunion, Comoros, Mayotte, Mauritius and The Seychelles. The Planifolia variety is known for its cocoa-like and nuts undertones. It's the most popular and widespread variety in the world. 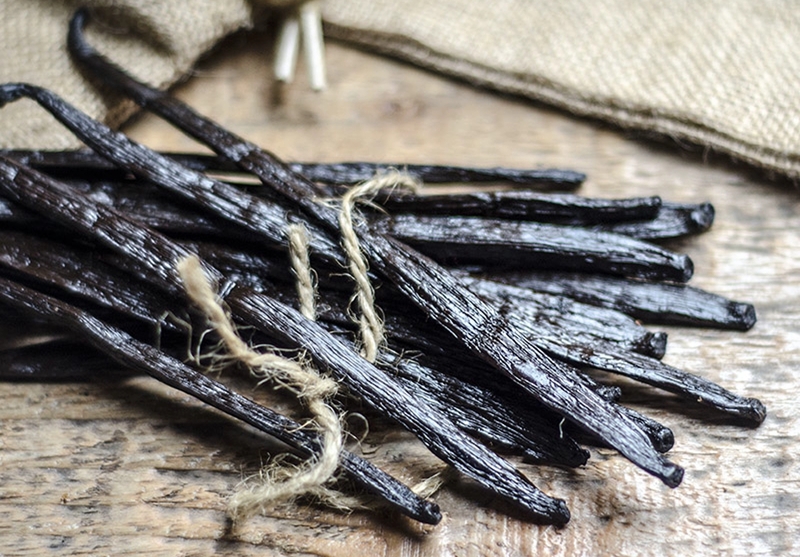 Little known fact : 80% of vanilla beans on the market come from Madagascar. My all time favourite : The bourbon Gold Vanilla beans are deep black. Their 28-35% humidity rate enhances its flavour and smell. I was blown away by the last harvest.We have been working since 2012 to get the quality we finally got this year. The traditional maturing process they went through gave them the caramel and cocoa undertones I was craving for and their buttery texture that truly charmed me. How to use it : This variety is a must-use in any pastry recipe! Further information can be found on each page dedicated to my products. There, you'll find my history with the variety, how to use it and where it comes from.